President Obama on Wednesday called for a ban to therapies aimed at “repairing” gay, lesbian, bisexual, and transgender youth in response to the recent death of a transgender youth by suicide following what she reported were efforts by her therapist to convert her back into a boy. APA has long recognized the dangers of so-called reparative therapies. In a 2000 position statement, the Association reaffirmed its opposition to “any psychiatric treatment, such as ‘reparative’ or ‘conversion’ therapy, that is based on the assumption that homosexuality per se is a mental disorder or is based on the a priori assumption that the patient should change his or her homosexual orientation." APA noted that there were “sparse scientific data about selection criteria, risks versus benefits of the treatment, and long-term outcomes of ‘reparative’ therapies.” Moreover, these therapies are at odds with APA’s position that sexual orientation is not a mental disorder. 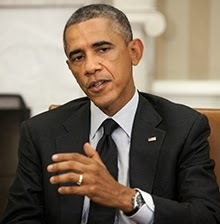 Yesterday, in an early report in the New York Times, the newspaper had stated that President Obama was calling for an end to “psychiatric therapies" aimed at "repairing" gay, lesbian, and transgender youth. APA reacted quickly to the erroneous statement that reparative or conversion therapies are “psychiatric therapies" by contacting The New York Times. The newspaper posted an updated report by mid-evening that dropped the reference to “psychiatric therapies."